Will You Share Your Feedback? ..Speak The Word and Change Your World. Prayer is the key. It is the master key for Christian living and spiritual growth. It is a channel of communication between man and God. It opens doors for great things and it puts an end to evil in the world. Prayer empowers; Christians who do not pray becomes a prey of evil. Do not be deceived, a prayerless Christian is a powerless Christian. You need to pray to overcome the devil and his devices; the lust of the flesh, the lust of the eye and pride of life. When you pray, you build up your faith in God. Effective prayer is praying through the word of God, the Bible. It brings quick answer to your prayer requests as God watches over his word to accomplish its purpose. I Believe My Prayers Shall Be Answered. #Jesus said when you ask, believe and you will receive. Say it out loud and believe it – ” I believe my #prayers shall be answered. Though it tarries, it will surely come to pass”. You may have prayed yet still expectant. The bible says that the expectation of the righteous shall not be caught off. I am expecting a miracle for you and I believe that your expectations will not be caught off. When God says something, it does not return to him void. God’s word does not return to him until it accomplishes its purpose. Jesus says ask and you shall receive. If you have asked, believe and you will receive. If you are yet to ask, its never too late to ask God for your heart desires. His ears are not deaf not to hear you, he is expecting you to approach the throne of grace. So approach God with faith in your heart, ask and believe that he has heard you. If you are like me waiting on God for an answer to prayers, be encouraged and have faith. I believe my prayerd shall be answered. Though it tarries, it will surely come to pass. My expectations shall not be caught off. I have asked and I will receive. This is my declaration. Send your prayer requests and I will join my faith with yours in prayer. Waiting on God is no child’s play. Your mind is anxious for the future, your heart is beating fast in the present. You wonder when the wait will end. You might even wander and attempt to help God, after all, the general consensus is that heaven helps those who help themselves, right? Except that Jesus along with many others in the Bible did not help God; they simply prayed. They persisted in the place of prayer, they waited to hear from God and then they obeyed his instructions and things worked out for them. Six men and one woman stood out in the Bible when it comes to waiting on God in prayer. Jesus is the role model, Moses, Daniel, Shadrach, Meshach and Abednego, and Hannah. They all went through different stages of waiting on God. You too can follow in their example and believe that God will answer your prayers. Stay away from any form of distractions. Separate yourself from the crowd for a maximum concentration before God. Jesus always withdrew from the crowd after a long hard day work. He often separated himself away from the crowd to a lonely quiet places (Luke 5:16). He told his disciples at the garden of Gethsemane, sit here while I go and pray yonder (Matthew 26:36). When a trap was set against Daniel, he went into his house and with his windows opened, he made his petition known to God (Daniel 6:10). Hannah left the celebration to be alone with God in the temple. She too separated herself from the crowd (1 Samuel 1:9). After a very crucial meeting with his disciples, Jesus withdrew to a quiet place to pray at Gethsemane (Luke 5:16). When he taught his disciples to pray, he said go to your room and pray and your father who sees in the secret will reward you openly (Matthew 6:6). A quiet place for you can be a secluded place in a town or on top of a mountain where Jesus often went. It can be your house like Daniel did. It can be in your church like Hannah who went to Shiloh. Find a quiet place to pray. Have a Prayer partner or an accountability partner. Call it what you may but Jesus showed us the importance of having prayer partners or people to tarry along with you in the place of prayers. Jesus took three disciples with him to tarry with him as he prayed in Gethsemane (Matthew 26:36). Moses took Joshua with him to the mountain where he received the ten commandments (Exodus 24:13). Daniel prayed with his friends for God to reveal the king’s dream (Daniel 2:17-18), even the disciples tarried together on the day of Pentecost (Acts 2:1). Let your prayer partner(s) know the state of your mind – Jesus made his heart known to the three disciples who were with him. He said, my soul is exceedingly sorrowful even unto death, tarry ye here and watch with me (Matthew 26:38). Daniel gathered his friends to pray together and seek for answers from God for the king (Daniel 2:18). Daniel made his supplication known to God with thanksgiving and he did this three times a day (Daniel 6:10). The Bible says, do not be anxious about anything but in every situation, by prayer and petition with thanksgiving present your requests to God (Philippians 4:6). There’s no need beating about the bush, go straight to the point. Avoid vain repetition as Jesus instructed us not to be like the heathen who use vain repetition during prayer (Matthew 6:7). Make your heart known to God like Hannah, who went to Shiloh every year and prayed to God for a child. She never wavered from her desire rather she offered her sacrifice and prayer request to God until her joy was full (1 Samuel 1). God has given us a Will and he will not enforce his will on us but his will should be our ultimate aim because his Will overrides everything. God is all knowing, he knows the past, the present and the future. He has a plan for each one of his creations. Your ultimate aim should be that your life will be aligned to his will. Jesus said, Father take this cup away from me but not my will but your will be done. Jesus taught us to pray saying, your will be done on earth as it is in heaven (Matthew 6:10). God’s Will should be done in every areas of our lives but we must surrender to his will because when we surrender to his will, everything begins to work according to his plan and for his good purpose. Go a little further in the place of prayer. Pray intensely. Pray with the passion. Pray for your heart desires to be fulfilled. Jesus went a little further as he went to pray (Matthew 26:39). Your flesh might be weak but persist in prayer, be consistent and leave the rest to God who will answer your prayers. If you are ever waiting on God for anything, don’t give up. Try and incorporate these stages in your prayer plan and see God move. If you ever need someone to pray with you, do not hesitate to contact us and we will be glad to pray with you. Early Morning Prayer: Declare and Pray through the Bible in a year with others on Skype. Bible Study Group: Study the Bible and fellowship together with fellow Christians. CONTACT. Telling lies and being deceitful is a plague many people suffer. Call it a white lie or a dark lie, a lie is still a lie and it is one of the detestable sins before God(Proverbs 6:16-19). It wearies the soul, hurts those we love and slowly eats at our flesh. Once lies and deceits have their claws sunk into the human mind, it is difficult for the tongue to regain its freedom. Nobody who tells lies will enter heaven(Revelation 21:8, Revelation 21:27,1 Corinthians 6:9-11) unless you ask for forgiveness and you repent of telling lies. Sin hurts us and separates us from God. When we sin, we die a slow death physically and spiritually. You may be suffering from this plague of telling lies and being deceitful. You can ask God for the forgiveness of your sin, repent of this detestable sin, turn away from lying and deception and God will write your name in the book of life. 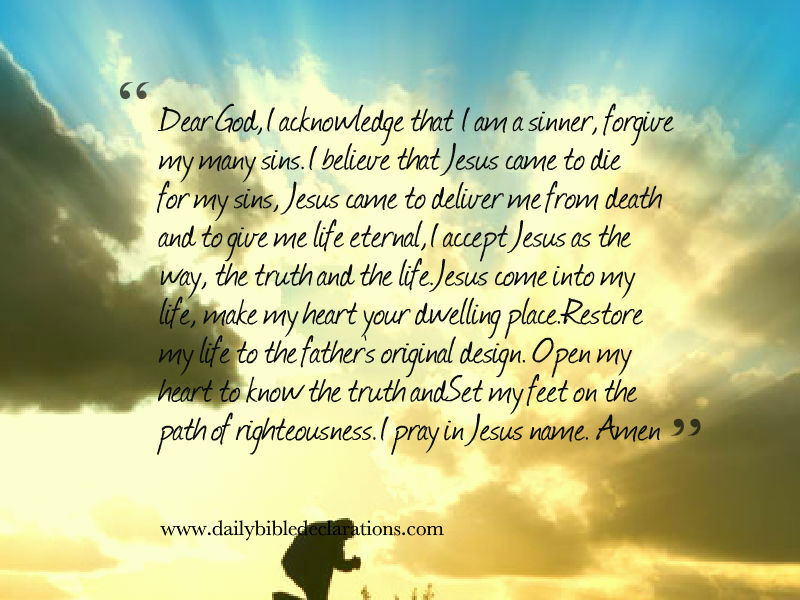 Dear God, Forgive me for ever telling lies and being deceitful to people and most importantly to those I love. My heart is heavy and my conscience is filled with guilt. I know if I do not confess and repent of my sins you will not hear me. Also, one of your commandments say that we should not tell lies (Leviticus 19:11) but I have been disobedient and my conscience is filled with guilt, please forgive me.. I come before you in the name of Jesus and ask for the forgiveness of my sins. Forgive me for all the lies I have ever told anybody. Forgive me for hiding my sins from you and covering up with excuses thereby grieving the Holy Spirit whom you sent to be my guide and comforter. Forgive me also for the lies I tell myself thereby opening the doors for the devil to attack my mind and body. I pray in the name of Jesus. Amen. Forgive me for being deceitful in my words and in actions. This I pray in the name of Jesus. Amen. Lent starts today. Are you observing lent? What is lent? What is the purpose of lent? How long is Lent? Should Christians observe lent? and how should Christians observe lent? Lent is the period of forty(40) days, about six weeks of fasting and praying for Christians. It has been linked to the accounts of the Gospels of Matthew, Mark and Luke, in commemoration of the period of fasting of Jesus Christ in the wilderness before his temptation and the beginning of his ministry. Lent begins on Ash Wednesday and it ends on Easter Sunday. It is a season where many Christians deny the flesh, give up food and water, with the hope to connect with God through prayers, repentance of sins, atonement and giving of alms. Not all denominations participate but the Anglican, Roman Catholic, Calvinist, Lutheran, Methodist, Orthodox, Anabaptist and some Evangelicals participate in the season. Its main purpose is to deny the flesh of its luxuries in participating in the suffering of Christ which leads to the death, the burial and resurrection of Jesus Christ accounted for in the New Testament of the Bible. Christs’ suffering started on the night he was arrested, beaten and tortured before his crucifixion and his death on Good Friday. All of these leads to a joyful celebration of Easter Sunday. Is Lent compulsory for all Christians? Lent is not compulsory for all Christians. In fact, it is not mentioned in the Bible but it is linked to the Bible verse instructing Christians on how to fast and pray(Mathew 6:16-18). Many Christians who observe lent participate in a traditional culture established by the church at Rome during the Council of Nicea in A.D. 325, when Emperor Constantine officially recognized church as the Roman Empire’s state religion. What is the duration of Lent? Lent is for a period of forty days. What Should a Christian give up for Lent? Many Christians give up food and water during the day and they break their fast usually in the evening. What should I do during Lent? During Lent, many Christians fast and pray. Some Christians commit to reading the whole Bible during this period. Other Christians commit to reading a devotional to help them get closer to God. Some denominations use The stations of the Cross devotional, Many Roman Catholic and some Protestant churches remove flowers from their altars, while crucifixes, religious statues, and other elaborate religious symbols are often veiled in violet fabrics in solemn observance of the event. Throughout Christendom, some adherents mark the season with the traditional abstention from the consumption of meat, most notably among Roman Catholics – Wikipedia. Christians who observe lent must not do it as a religious exercise but as a way to build a closer relationship with God. It must be done with humility before God and in sincereness of heart. Lent should be a time to humble the heart, purify the heart and the mind from its lustful desires. It must be a time to reflect, repent and pray to God in preparation for a lifestyle of holiness. 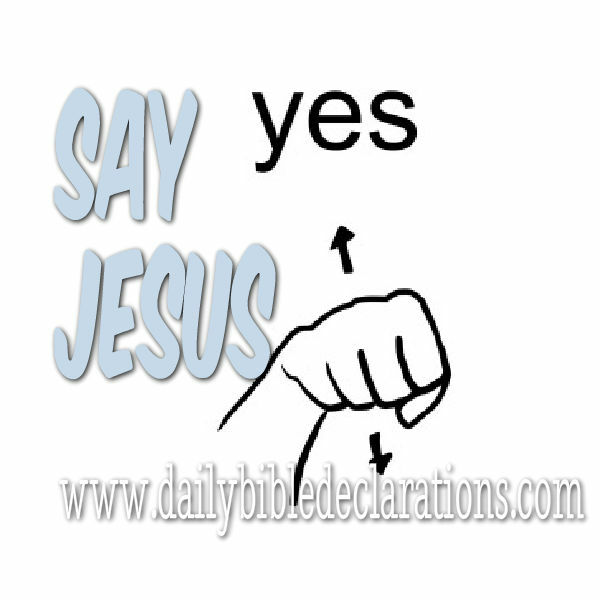 Prayer For Salvation – Say Yes to Jesus! Troubled? Overwhelmed? Sad? Sick? Poor? Confused? Simple-hearted? Angry? Sinful? Hungry? Happy? Rich? Wealthy? Good? whatever your status or situation is in life, You need Jesus. There is always room for improvement, there is always room for more. Whatever you are seeking for life, you can find it in Jesus. Say yes to Jesus today and see your life turn around for the best. I pray in Jesus name. Amen. God commanded us to love him with everything in us. Ayou ready to obey that commandment? Do you wish to love God with all your heart, soul and might? Do you feel like you cannot do it on your own? Nobody can love God by themselves unless God helps them to love him. Why not say a prayer to God in that regard? Dear Lord, Thank you for your love. Give me a new heart to know you. Write your laws in my mind and in my heart. I Reflect on what does it mean to love God with all my heart?. 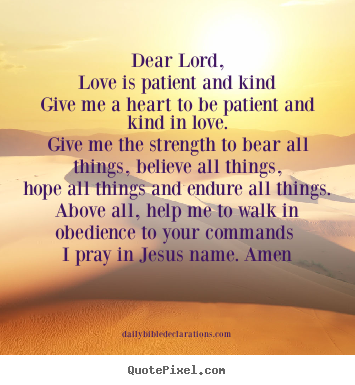 I Declare this prayer to help me renew my mind on my love for God. Would you like to study the Books of the Bible and Pray with fellow Christians? then give us a CALL. If your life has been changed through this reflection, please do share your Testimony to feature on the website. If you know anyone who needs this encouragement, please share this site. God bless you. Daily Bible Declarations with Ayoola Bandele. I spend hundreds of hours every month writing, editing and managing this website. If you have found any comfort, support or guidance in this work, please consider donating. Your donation will go along way in keeping this site running. Identity – Who am I?